This is a thread for the local Nor Cal peeps to buy, sell or trade parts the old fashion way... Mano-A-Mano! Here you will not have to worry about shipping as everything will be local pickup. You will not need pics to post as most of us know what a (insert Jeep part here) looks like, If you want pics i'm sure a pm to the seller/trader will get you a response. This will be a great way to clean out the garage and get rid of that 3rd set of (insert Jeep parts here)... This thread is intended for anyone willing to drive the distance needed to strike a deal. Last edited by ROK HEEP; 08-16-2012 at 03:14 PM. miles with 35" tires and moderate wheeling ... $400.00 or trade for? let me know what you got! Last edited by ROK HEEP; 08-08-2013 at 07:20 AM. Damn good idea Scott. This should be considered as a Sticky Thread for sure. Let's keep all the local sales in one place for easy access. Misc JK parts for sale. Good idea. I have some stuff. 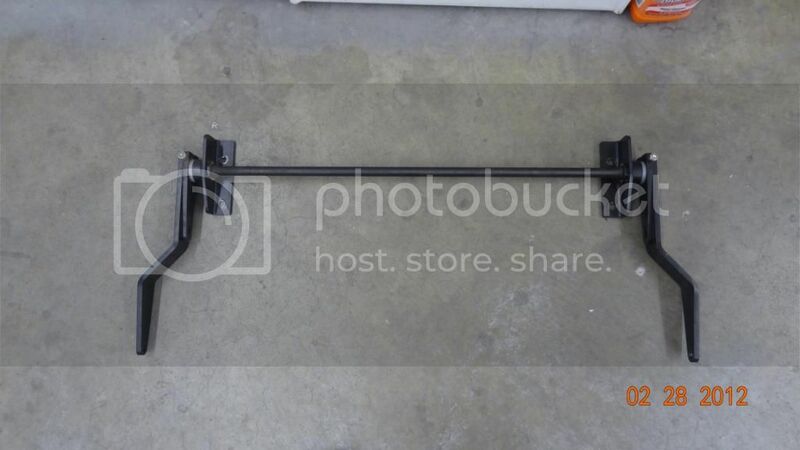 4 door 4" Teraflex f&r springs"""SOLD"""
front & rear stock bumper new"""SOLD"""
stock rear license plate mount with light new """SOLD"""
4 door Rubi rails clean """SOLD"""
2 door Rubi rails clean"""SOLD"""
Last edited by jason mac; 01-29-2013 at 08:21 AM. So we know it's actually a post with a sale item the seller should make a title such as "For Sale blah blah blah" That way it can be identified throughout the banter who's got something for sale and can keep track of those posts. Just a thought. I vote this as a Sticky. What say you??? Sticky sounds like a good idea. Set of 5 wheels for a JK. 16.5x8 5on5 patern 4" backspace. $300 or trade for D30 axle or 30/44 4.10 or lower (numerically higher) gears, used is ok as long as they are in good shape. I am reasonable, lets see how this swap meet will work! When a life or death decision must be made in seconds.....the police are only a minute away. Last edited by 09rubicon; 08-14-2012 at 10:01 AM. If your selling/buying or trading give your post a title so we can all identify the post from posts like this.. Makes it easier to identify over the BS..
Last edited by Family-jk; 08-14-2012 at 07:15 AM. Last edited by ROK HEEP; 03-23-2013 at 09:30 AM. Thread says sold but still have them. I have a stock exhaust if you need one. How much do you need, muffler, cat back? Send me a pm and we can work something out. Should we merge this with the NorCal Parts Depot thread, that is for borrow/giveaway/selling? Yep, two totally different site concepts. Scott, it was for all three reasons, but it is totally cool. This is just for sale, so that makes sense. Ray, I think you're going to need an attitude adjustment when you return from the East Coast. I will volunteer for the job. I think being near the Yankees, has given you a false sense of confidence. Currie Front Steel Antirock, had it on my rig for a week.